Every retail forex trader should endeavor to educate themselves thoroughly about trading margin and effective leverage and how it’s application can affect their trading activities. The concept of leverage is closely related to that of margin, which is a form of debt used by traders and investors to control financial instruments. A margin account deposit can be used as collateral by a forex trader to help secure their broker against losses incurred by the trader’s activities in the market. Using a margin account involves a forex trader effectively borrowing, from their broker, the balance of the trading positions they take that exceed their actual account balance. In general, leverage involves the use of borrowed financial instruments or capital — like margin for example — to increase the potential return and risk from holding an investment or trading position. Since the use of leverage compared to using only one’s own funds increases both a trader’s potential for gains and losses, it has often been compared to a double edged sword. Leveraged trading in forex operations seems very common at the present time, especially since most retail forex traders now use margin accounts held with online forex brokers as the primary venue for their currency trading activities. In the retail forex market, having the availability of leverage in forex trading benefits a currency trader by allowing them to control a larger position than they would otherwise be able to on the basis of an unleveraged account. This lets them potentially make greater profits if their market view turns out to be correct. Of course, the downside of the use of leverage is that their trading risk is also magnified by the same amount that their profit potential is increased. Forex traders generally use the term “effective leverage” to refer to the amount of leverage that a currency trading leverage account is actually using to control the total outstanding notional amount of current net positions the trader has established in their account. Effective leverage is typically expressed as a reduced ratio of their total outstanding net positions to their total margin on deposit. Another related term used in the retail forex market is “available leverage”. This refers to the amount of leverage still available to the trader to use given their existing trading positions and their broker’s maximum amount of leverage allowed for their particular account. Furthermore, the full amount of leverage made available to a retail forex trader by their broker is typically known as “maximum leverage”. In the retail forex market, small traders making transactions for their own portfolio typically place a deposit of funds in a margin account with an online forex broker. This margin account will be subject to a maximum amount of forex trading leverage that is typically set by the broker. Most brokers allow clients a substantial amount of maximum leverage, so traders will typically use a portion of those deposited funds to control one or more larger trading positions. Doing this lets the retail trader increase or magnify any gains or losses on their trading positions, and the level of this increase is known as leverage. To quantify leverage, traders and brokers typically look at leverage ratios. One of the most basic forms of leverage ratio relevant to a specific trading position will reflect the size of the position relative to the margin deposit required to control it. As a relevant example of calculating leverage, consider a trader who places $5,000 in a margin trading account at an online forex broker. If the broker allows its clients a maximum leverage ratio of 100 to 1 or 100:1, then that means that the trader can potentially control a position of up to $500,000 U.S. Dollars in USD/JPY with their existing $5,000 margin deposit. If this same trader takes a specific position of say $100,000 in USD/JPY, then, their effective leverage ratio is 20:1. Computing this sort of FX leverage ratio gives the trader a useful measure of the risk they are taking relative to their account size. Also, the result tells them how much room they have in their trading accounts before exposing themselves to margin calls or involuntary close outs by their broker. As noted earlier, the term “effective leverage” refers to the total position size a trader is actually or effectively controlling given the total amount they have deposited as margin with their broker. This can differ substantially in value from “maximum leverage” which refers to the maximum position amount that a trader can have outstanding given a particular margin deposit held by their broker. First of all, consider the situation of a forex trader who has a standard US$100,000 lot of USD/JPY outstanding and a total account size of US$10,000 that has been placed on deposit in a margin account with their online forex broker. Their effective leverage is then determined by first dividing US $100,000 by US $10,000 to get 10 and then expressing it as a ratio with that number on the left, a colon or “:” in the center, and then the number 1 on the right. Thus, they have a current effective leverage ratio of 10:1 and are effectively controlling $10 of a trading position with every $1 placed on deposit. This effective leverage ratio will magnify their trading gains and losses by ten times what they would have otherwise have experienced if they did not take advantage of leverage at all. Furthermore, if the trader then doubles up by taking on another US $100,000 lot of USD/JPY to give them a total outstanding position of US $200,000 using the same US$10,000 deposit as margin, then their effective leverage trading ratio changes to 20:1 because they are now controlling US $200,000 with a US $10,000 margin deposit. Doing this will magnify their trading gains and losses by 20 times relative to taking an unleveraged position. Many retail forex traders like to keep track of the effective leverage currently being used in their trading account, as well as the amount of leverage they still have available to use should a potentially profitable trading opportunity arise. This simple form of leverage analysis helps them both manage their overall trading risk and also assists them in staying below the maximum leverage their online forex broker leverage standards permit. In doing so, this will avoid the hassle of margin calls, or even worse, experiencing obligatory position closeouts by their broker due to insufficient margin in their account to support their outstanding transactions. Effective margin is computed by dividing the total notional amount of net outstanding positions for each currency pair a position is held in by the total amount of margin in their trading account. The value of the total notional amount outstanding that they need for this calculation should be readily provided by their online trading platform, such as MetaTrader 4 or 5 for example, and needs to be summed up for each currency pair. If a cross currency position is held, then the total base currency notional amount needs to be converted into your accounting currency. With respect to synthetic cross rate positions, a trader generally cannot net a long USD/JPY position against a short USD/CAD position to make a long CAD/JPY position, even if the U.S. Dollar amounts involved are equal. Such synthetic cross positions are considered by most brokers as two separate transactions versus the U.S. Dollar. This means the absolute value of their notional amounts will be used for leverage computation purposes, and they would both contribute to the notional amount outstanding for an effective leverage calculation. The computation of effective and available leverage for a forex trader is really quite straightforward. If you cannot do the rather simple math in your head, it can readily be performed on a basic calculator. Traders can also place the input values and the simple formulas required in a spreadsheet like Microsoft Excel. The following image shows the descriptions, values and either input values or formulas required to perform this calculation in a simple Excel spreadsheet. Figure 1: A screenshot of a simple forex leverage calculator set up in Microsoft Excel to compute Effective and Available Leverage. This calculation of both these quantities requires a trader to input values for Total Outstanding Trading Positions, Total Margin on Deposit, and Maximum Leverage. In the Interbank forex market, the trading of currencies typically occurs using credit lines rather than margin accounts. These lines of credit are generally allocated by a specialized internal credit officer to every potential trading counterparty of a financial institution depending on that counterparty’s perceived and analyzed creditworthiness. Such Interbank forex transactions generally do not require a margin deposit. Margin is instead effectively extended by a financial institution to a counterparty as a short term trading loan by using their credit line. This means that leverage and margin are not specifically used in the Interbank market to determine if a client can execute a trade, as long as they have a credit line that will cover the transaction. Furthermore, most Interbank transactions are typically larger than one million U.S. dollars in size, and hence they might seem to pose a substantial credit risk. Nevertheless, since most spot forex transactions settle in just two business days, the actual risk of default on a forex transaction during that time among currently creditworthy counterparties is typically seen by credit analysts as rather small. Interbank forex credit lines are usually expressed in two ways. First of all, they show the overall size of net outstanding forex positions allowed with that counterparty. Secondly, they show the current mark to market value of outstanding positions. As long as the counterparty has sufficient space remaining on their available credit line to cover a proposed forex transaction, an Interbank market trader usually has the authority to go ahead with the deal without obtaining further permission. Still, if there is insufficient space in a credit line with a counterparty to cover a proposed forex transaction, the Interbank currency trader will then need to obtain special approval from an internal credit officer or manager at their firm to execute a transaction with that counterparty. Closing transactions that net out an existing position with a counterparty do not typically require such approvals. It is also important to note that a foreign exchange transaction performed at the current spot market exchange rate is generally considered to have little to no intrinsic value because it involves the exchange of one currency for an equivalent amount of another. Nevertheless, once the market moves, the forex position starts to accrue gains or losses, and this subsequent “mark to market” value can increase credit risk if the counterparty’s position loses value or reduce credit risk if it gains value. The current mark to market value of all of a counterparty’s outstanding positions will generally be reviewed by an Interbank trader by referring to either a daily report or a positioning system provided by their firm before agreeing to quote on or enter into a forex transaction. Doing this allows them to quickly determine if transactions with that particular counterparty are allowable under the firm’s existing forex credit lines and in what size. 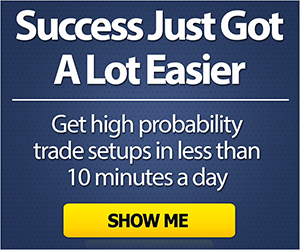 Much has been written about the ideal use of effective leverage among investors and traders. The basic idea for optimizing the use of effective leverage typically centers on the goal of generating maximum growth in your trading account while not risking the total loss of your currency trading funds. Far too many novice forex traders — and even some experienced ones — have seen the balance in their trading accounts quickly dwindle to zero after losing track of their effective leverage and taking on more risk than they could prudently afford. Following sound risk management techniques should generally help a trader avoid this unfortunate situation. Also, keeping a watchful eye on their effective leverage will typically be very helpful in this regard since it helps keep trading risk levels both visible and tolerable. Some financial theoreticians have addressed this important risk and money management issue directly. One of the most well know of these is mathematician J. L. Kelly, Jr. who came up with the so-called Kelly Criterion while working at Bell Labs in 1956. His well-known formula is often used by financial markets traders — as well as by professional gamblers — to help optimize their chances of successful performance over the long run. The purpose in doing so is calculate the important quantity L that represents the optimal effective leverage you should aim for in your trading account. This quantity L will equal the ideal ratio of the total size of positions in your account to the amount you currently have deposited in it to be used as margin when you are using optimal leverage as defined by Kelly. Furthermore, the term (E-R) represents the expected excess return of your trading strategy. In this equation, E is the expected return and R is the risk free interest rate, so the difference is the excess return. The term V in the denominator of the above equation refers to the expected statistical variance of your strategy’s excess return or the quantity (E-R). This sample calculation of the Kelly Criterion therefore indicates you should aim for an ideal effective leverage ratio of 33:1 if you plan on following this leveraged investment strategy with the above parameters. 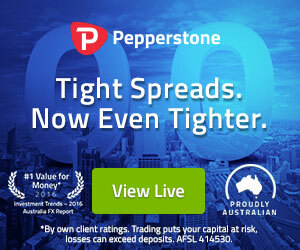 In practice, this would imply that a retail forex trader who deposits US$10,000 in their trading account and intends to use a trading strategy with the above expected return, risk free rate and variance would optimally want to leverage their account up to an overall position size of $330,000 when using it to trade this particular strategy. The Kelly Criterion provides a theoretical optimal number for the use of leverage. However, its output tends to be very aggressive for most risk oriented traders. In general, most professional forex traders tend to position size with an effective leverage of 2:1 on the low side to 10:1 on the high side.